Sugilite is a member of osumilit group; it is also known as sugulite and sometimes is sold under the trade name Royal Azel. The mineral was first described in 1976 by Murakami and was named in honour of the late professor Kan-ichi Sugi. It was first discovered as brownish-yello veins in an aegirine syenite from Ehemi Prefecture, Japan. Manganese is the coloring agent for its deep purple color. Sugilite mineral is translucent to opaque; the gem-quality sugilite has a lovely translucency but it is very rare. 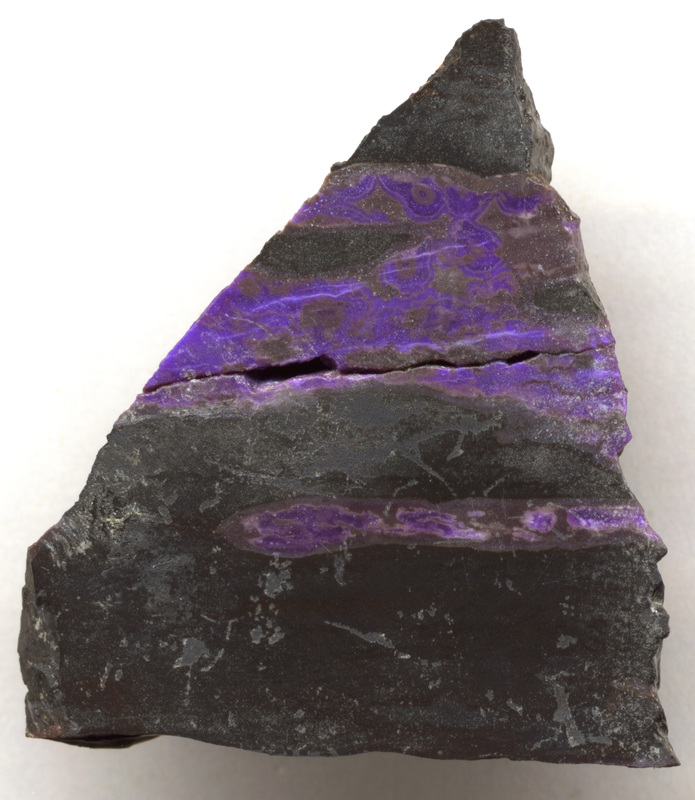 Sugilite is usually found in manganese rich fields. It is mined from manganese fields of Kalahari, South Africa. Small deposits also occur in Japan and Canada (Quebec). Find our interactive map for gemstones of the world Here. 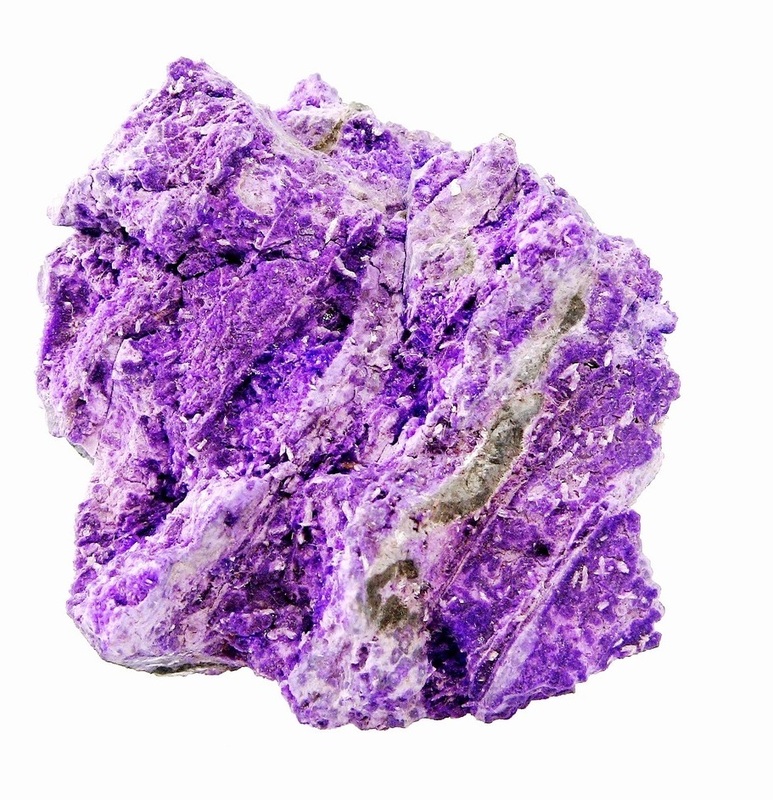 Sugilite gemstone is usually coated with a colorless substances to improve the surface uniformity. No other especial treatment is done on sugilite gemstone. Sugilite is a very popular gemstone with jewellery makers and buyers due to its beautiful color. Sugilite has an irregular fracture and its cleavage is in one direction therefore it is mainly used for cabochons and beads. Its granular structure makes it a perfect gemstone for carving and inlay work. It is also can be used for protect-style jewellery such as earrings and pendants. Sugilite is used both in women’s and men’s jewellery.Shop from our amazon-powered store Here or alternatively shop directly from amazon.com. Although sugilite is relatively hard gemstone it can be fragile therefore it should be stored separately from other gemstones. Sugilite should not be cleaned by ultrasonic or steam cleaners. The easiest way to clean a sugilite gemstone is by using soapy water and a soft cloth. Sugilite gemstone should not come into contact with cosmetics, hairspray, perfume or household chemicals. Sugilite jewellery should be taken off while doing household work!